Vaping is a modern alternative to the sensation of traditional smoking. Rather than inhaling a combustible smoke which is derived from burning, vape units produce a similarly dense ‘vapor’ from a heated mixture of Vegetable Glycerin, Propylene Glycol & Water. What is Vegetable Glycerin? What is Propylene Glycol? Vegetable Glycerin (VG) a natural, simple sugar-alcohol compound that is slightly sweet and generally considered non-toxic. It is a colorless, odorless, thick liquid that is soluble in water. It is used in vaping devices largely because of its ability to attract and hold water molecules. Propylene Glycol (PG) is also a clear, colorless food-grade organic liquid that both attracts water and reduces its boiling point. This helps ‘atomization’ (making liquid droplets suspended in air) occur at substantially lower temperatures than water alone. How is a vapor created? Vaping devices convert these water-based liquids into a dense vapor by exposing them to heat, creating a particulate suspension (aerosol) that is thicker and cooler than pure steam itself due to the respective and combined properties of VG & PG. Vaping devices have not been evaluated for their safety, quality nor efficacy as smoking cessation devices, and therefore no health claims can legally be made as such. 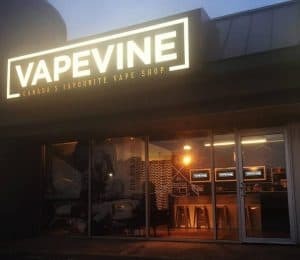 Vaping is a new industry. While there is substantial research regarding prolonged exposure to the high density glycol fog used in theatrical settings, there are no long term studies regarding the safety of personal vaporizers. Adults over 19 years of age should avail themselves to the provisional knowledge that may exist regarding these devices and use at their own risk. Why do I hear a crackling or popping sound when I’m vaping? When you first try to vape with a pre-installed coil or you have just installed one yourself, you must first PRIME the coil. You accomplish that by saturating the coil with eliquid. Draw from your device (dry inhale) without pressing the firing button for about 60 seconds, to help pull liquid into the coil. Then turn your device upside down a few times to ensure that the eliquid fully coats the wick. Next, begin using the device (pressing down on the fire button) for the first 5 minutes at a very low wattage setting (5-10 watts). This will effectively prime your coil so that you can avoid dry hits and popping sounds. Usually 1 to 2 BUSINESS DAYS to PROCESS. And then 2 to 7 BUSINESS DAYS to SHIP TO YOU. Please read more on our Shipping, Returns & Backorders Policy page.